It’s the next level of AMAZING! 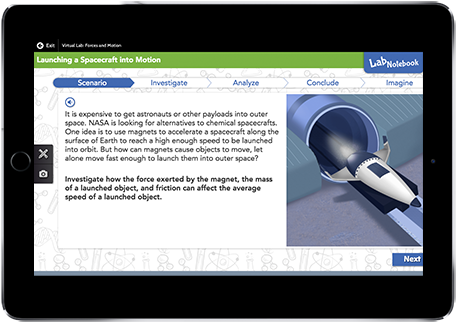 PearsonRealize.com lets you access Elevate Science as a fully customizable digital curriculum. 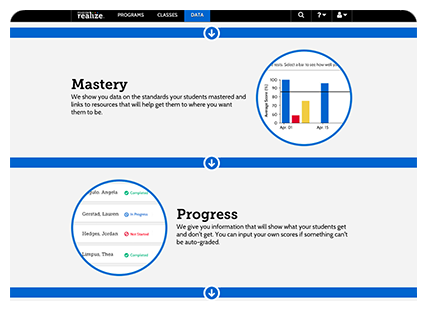 With a single sign-on, you’ll find all your content, resources, and student data. Plus you can add thousands of vetted resources with Google® and OpenEd. The new Realize™ Reader even allows offline access with auto sync when the Internet is available. Elevate learning. Elevate teaching. 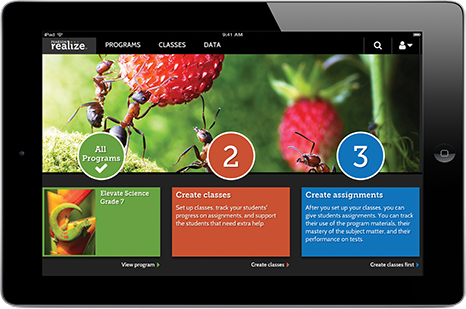 Get to know the Elevate Science digital curriculum for Grades 6-8. 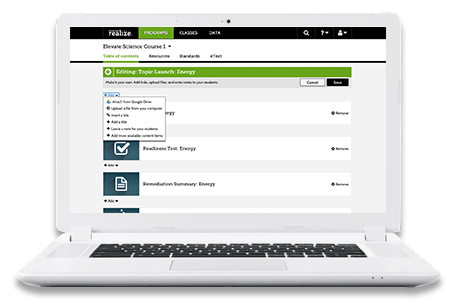 Teachers and administrators, sign up for a free 30-day trial. The Pearson Realize™ digital platform is easy to navigate. 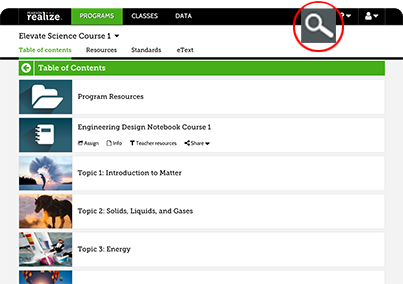 Browse and search thousands of Elevate Science resources by science standard or keyword. You can access everything at point of use. Want to edit a lesson or assessment? No problem. Realize gives you smart data. Data you can use. Take mobile learning to the next level. The Realize™ Reader lets students work online or offline. They can complete and submit their assignments anywhere and at anytime on Realize. Everything syncs up when students reconnect to the web.